This project was done as a present for my father in law and from the start has been a dream to do. 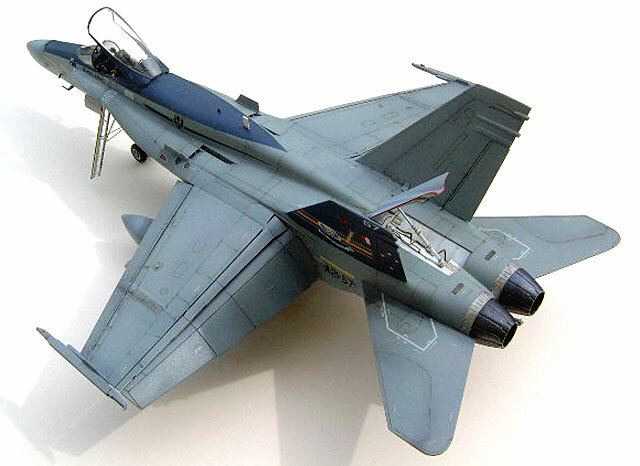 The kit is the Hasegawa 1/48 CF-188A. 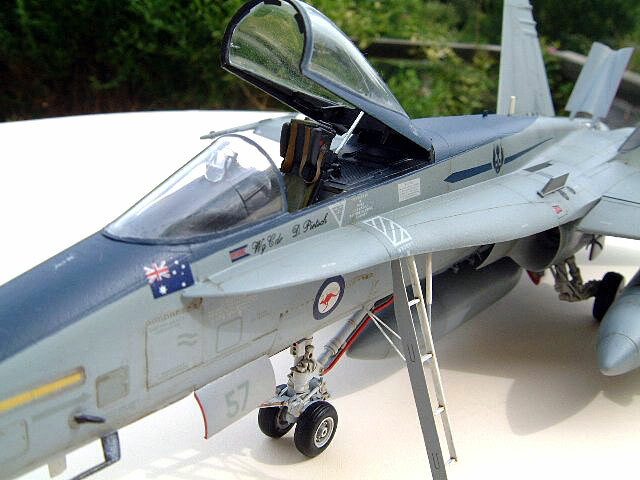 I used the truly amazing 'Aussie Decals' set to create an Australian F/A-18A of No.3 Squadron, which is based at Williamtown (just up the road from my Father in Law). The plane commemorates the 75th anniversary of the Squadron in 1991, so the subject is a little old but it still makes for a colourful model. No extra details sets were needed for this kit. All upgrades where acheived with fuse wire and bits of old photo etch that I had lying around. 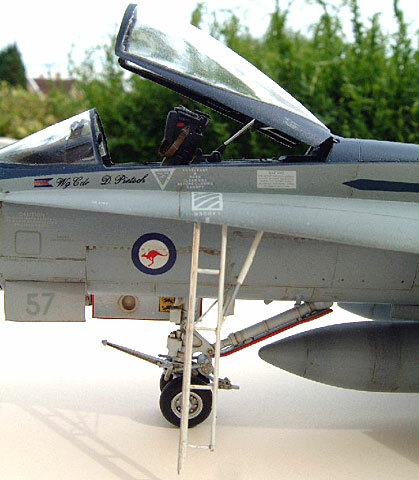 The straps on the headrest of the ejector seat are actually Dodge Beep 1/35th scale straps for the doorwells! The kit went together with just a few areas requiring filling and sanding but, looked at within the whole construction process, that just made it more fun. 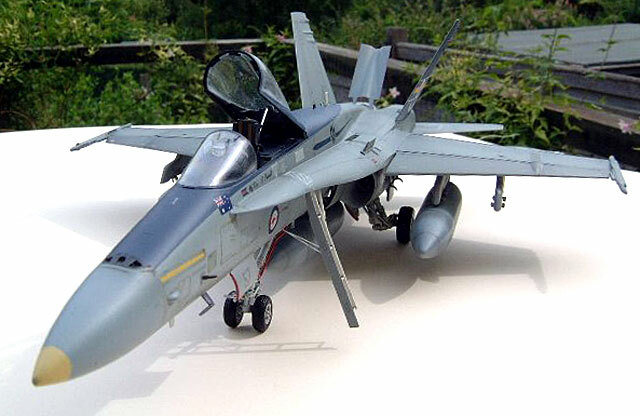 The model was painted in Tamiya colours mixed for the project. This caused a couple of problems as the underside lighter grey should be lighter (a lot lighter). Putting this aside I had great fun making this kit, which is after all what it's all about.